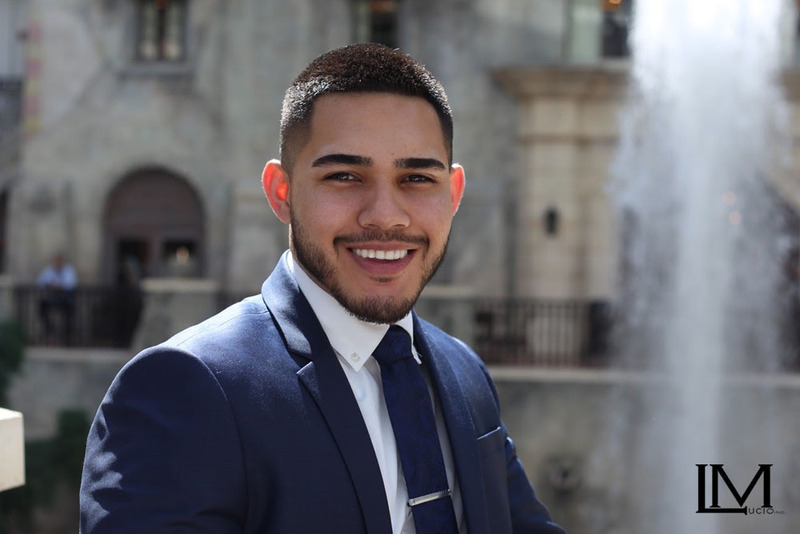 Team Member Spotlight Series: Jesus Garcia | Lucio Marketing, Inc.
Meet Jesus Garcia, an essential team member here at Lucio Marketing. We are very excited to have Jesus on board our ever-growing team. Jesus is our Assistant Director who is helping lead our team to success. From the beginning we saw tremendous potential in Jesus, and we know he is well on his way to become a director of his own team. 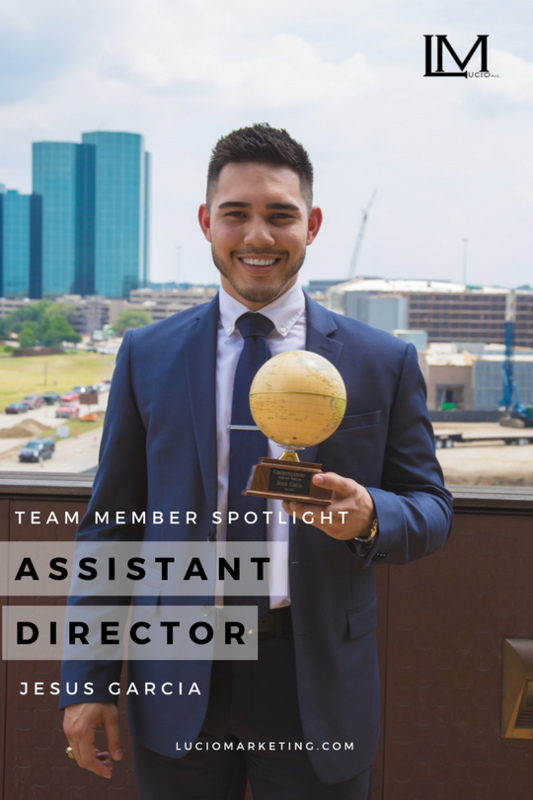 Jesus is an outstanding Assistant Director who is always motivating the team, helping grow the business, and our featured Lucio Marketing Team Member this week in our Team Member Spotlight Series. What Jesus brings to the team is greatly appreciated. A: The ability to evolve as a person and businessman. A: The opportunity! I have been here for 7 months now and I have already grown to an Assistant Director. This business is about growth and the people here give you the tools to be the best possible person you can be. A: Hanging out with my family, playing baseball. A: The Baseball field. I played College Baseball and I have always had a passion for it. A: The Office and the Beach. Why the office? Because when you enjoy what you’re doing it does not seem like work. Plus if you are not having fun at your work then you are not succeeding. A: It's made me become a better and more prepared person, I have more confidences in myself to be a successful leader. A: It’s a good mix of business and fun. We have fun training and interaction with each other in the office and when we are out in the field it’s all business. A: TOP ACCOUNT MANAGER meeting at the National Conference in Dallas Tx . A: Family, because they expect greatness and extraordinary from me which in return inspires me to do my best. A: By preparing me and holding me accountable to my standards. A: Expansion is here! It's your opportunity and it's on you to make things happen. A: The right Attitude, Student mentality and work ethic in this business will give you the opportunity of having your own business. If you want to find out more about Jesus’s work or about Lucio Marketing and what we do, follow us on our social media channels.